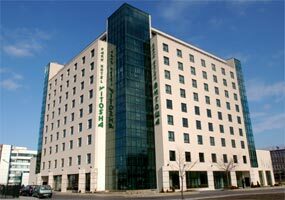 Hotels in Sofia - Vitosha Park Hotel in Sofia. 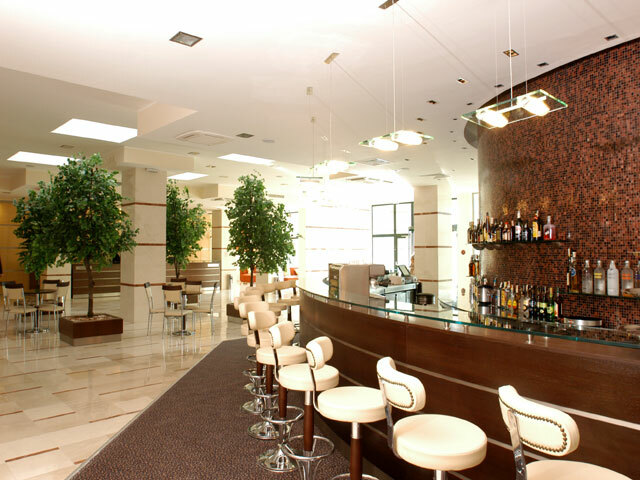 Sofia Hotels - Park hotel Vitosha. 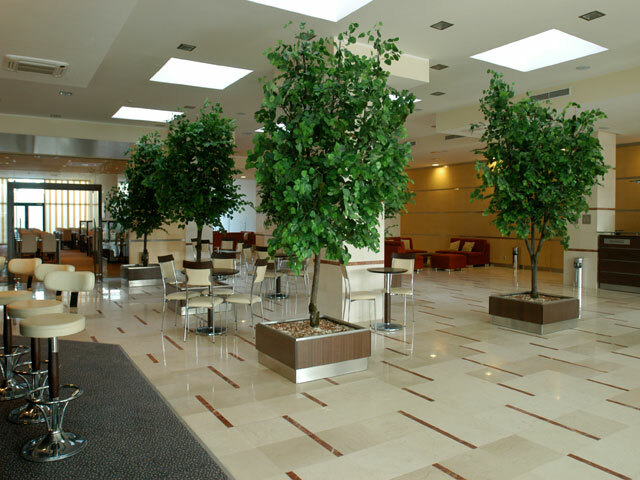 Book Vitosha Park Hotel in Sofia. 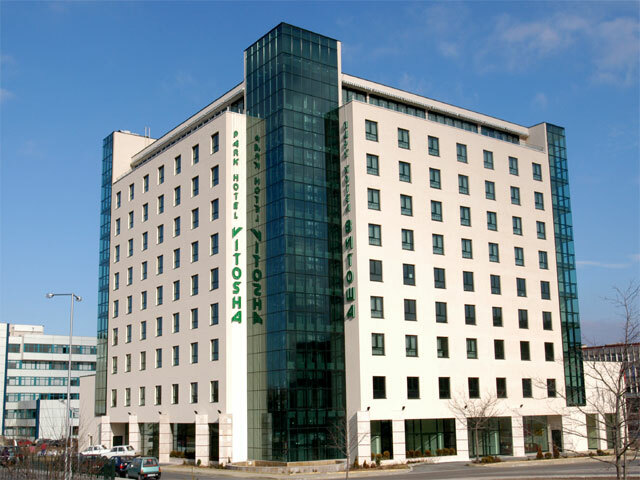 Location: Vitosha Park hotel is situated in the south area of Sofia, ten minutes by car from the city centre and close to the airport. 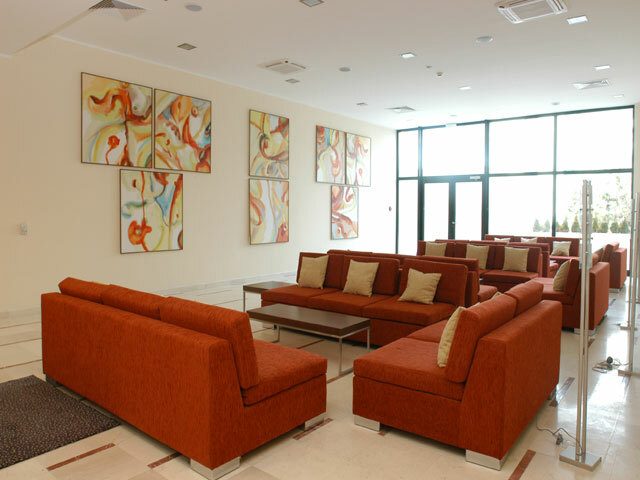 The vicinity of the nearby park and the unique view on Vitosha Mountain give a sense of comfort and relaxation. 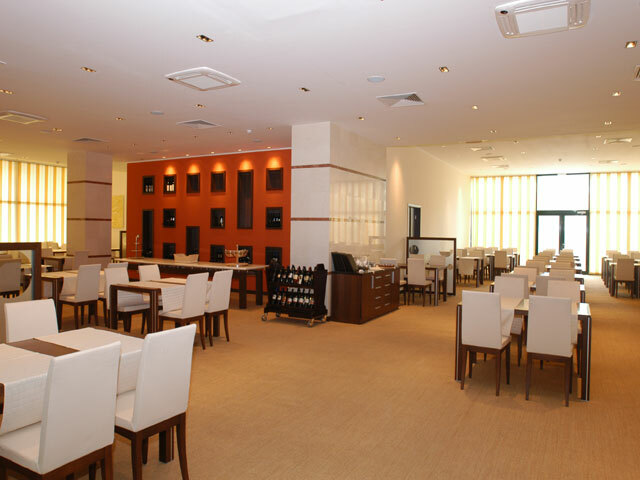 Dining: The restaurant seats 160 people and has a VIP room for 30 people. 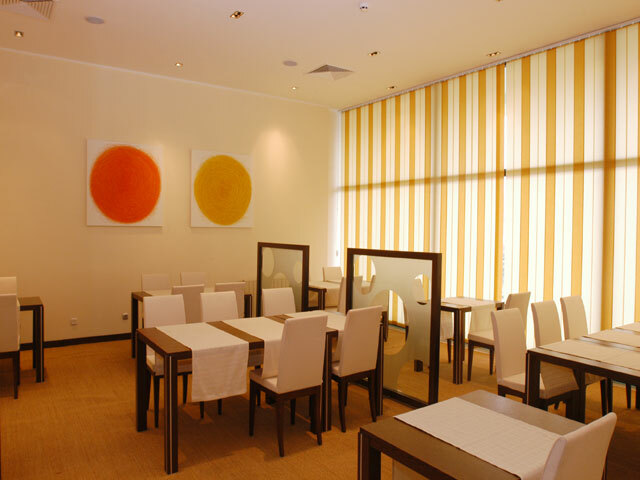 It offers Bulgarian, Italian and European cuisine and an Italian trained chef is taking care of the perfect preparation of food. 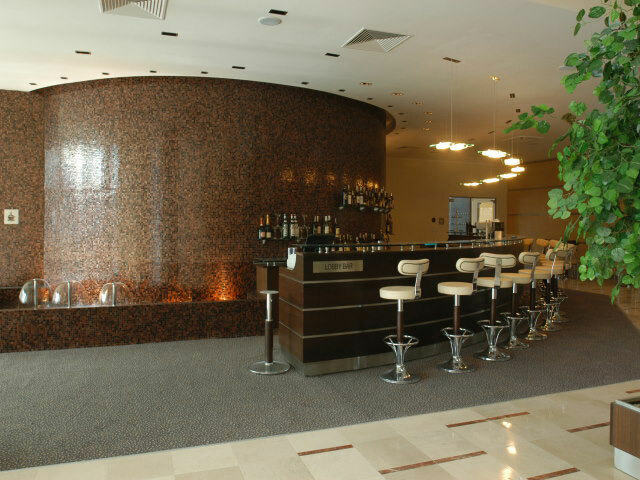 Lobby: The lobby-bar seats are 70 and one can enjoy the refreshments and cocktails served there, while waiting for a date or just for relaxing. 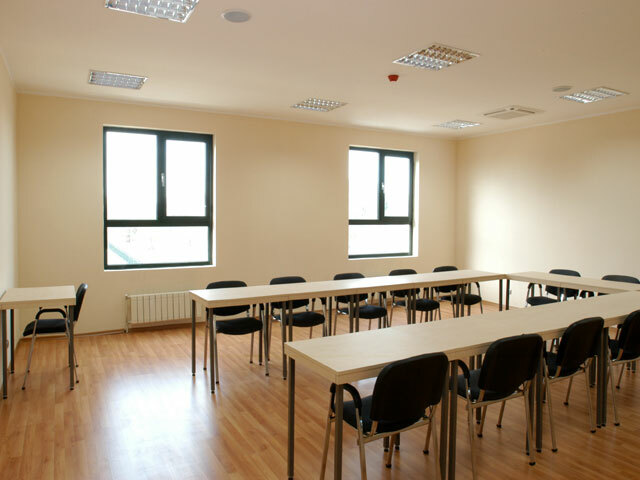 Meeting Facilities: To its business customers Vitosha Park hotel offers 3 conference halls and 7 study rooms, all appropriate for any kind of presentations and meetings. 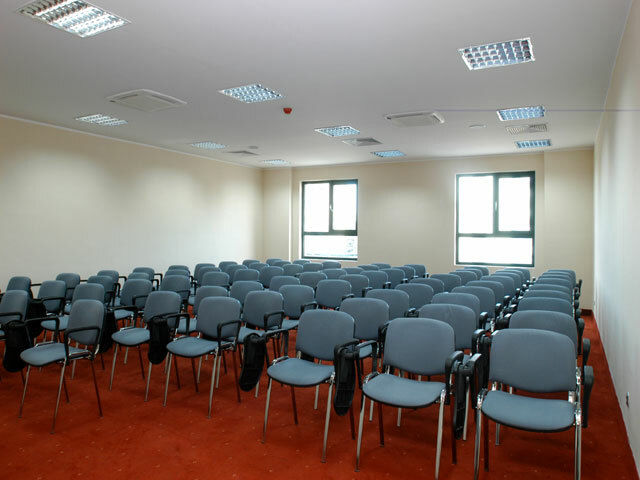 Two of the conference halls seats 75 persons, the third one seats 140 persons and it is very comfortable for congresses and conferences. 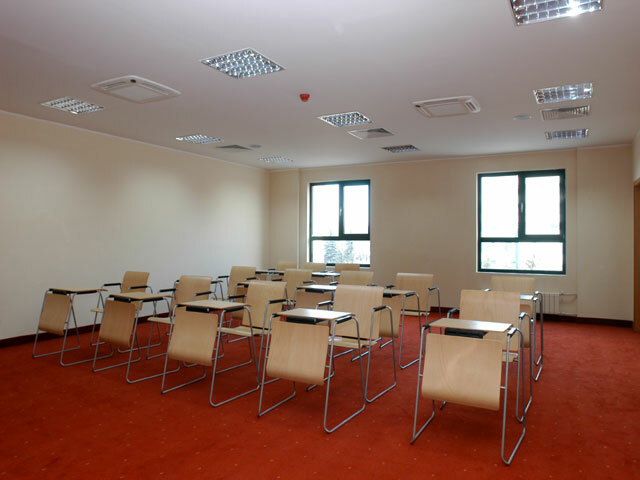 The study rooms are appropriate for 30 persons. 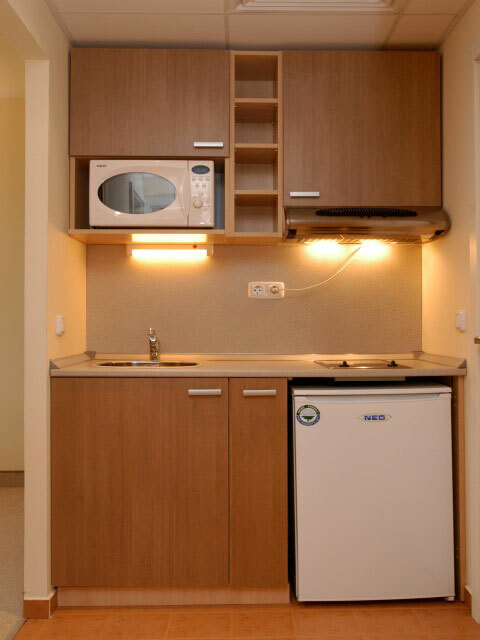 Accommodation: The rooms are 60 single, 80 double and 24 suites - small and big.The rooms are furnished with kitchen boxes for the convenience of the guests, TV modules with a fast connection to the Internet, individual air-conditioning system, cable TV, telephone, mini-bar and modern bathroom are also provided in the rooms. The big suite has two bedrooms, big bathtub in the bathroom and two separate toilets. There are separate floors for smokers and non-smokers. 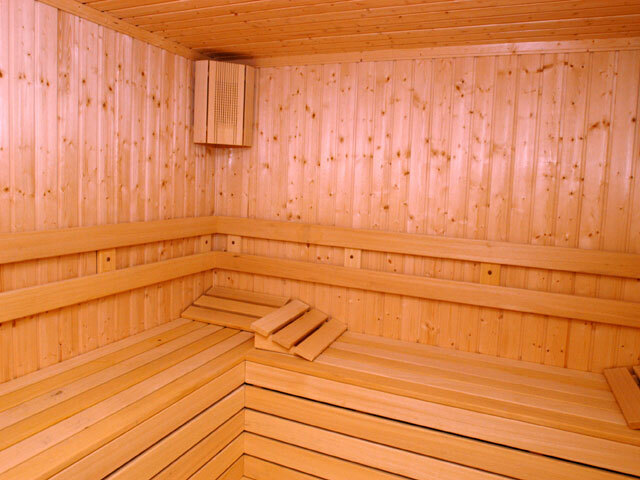 * Please note that all guests of Vitosha Park Hotel made reservation through this web site use for free swimming pool.